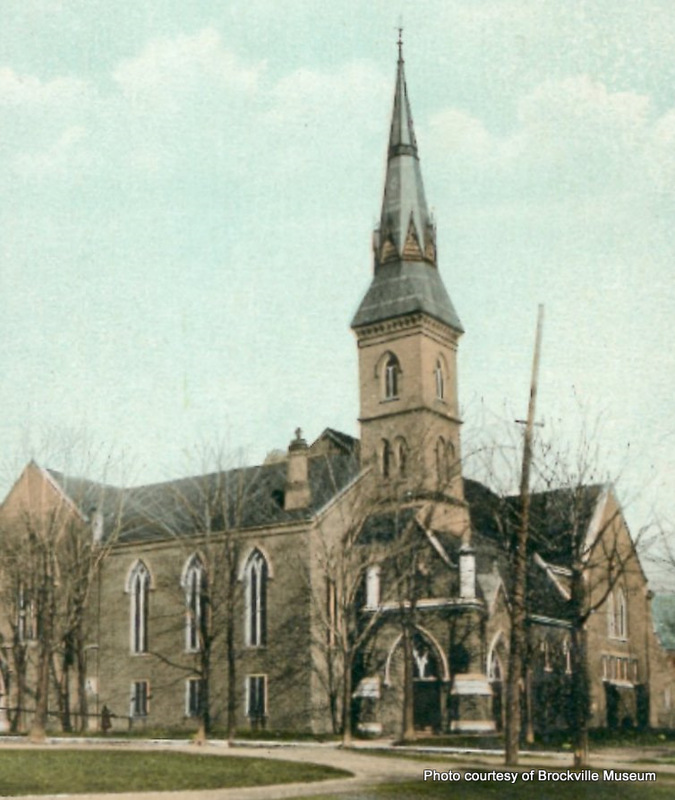 Wall Street United Church, 1830-1896. Designated for architectural, historical and contextual value or interest. 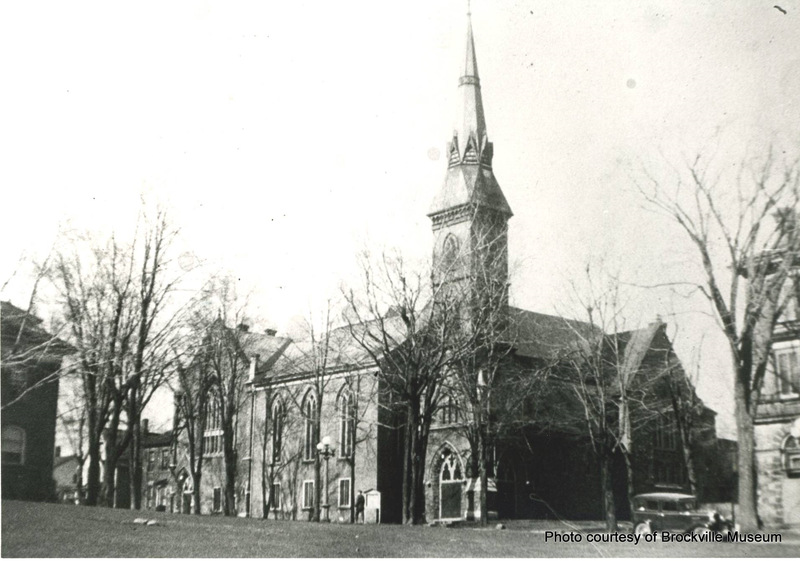 The church stands on grounds given by William Buell in 1831, on the condition that a church be erected on this land. 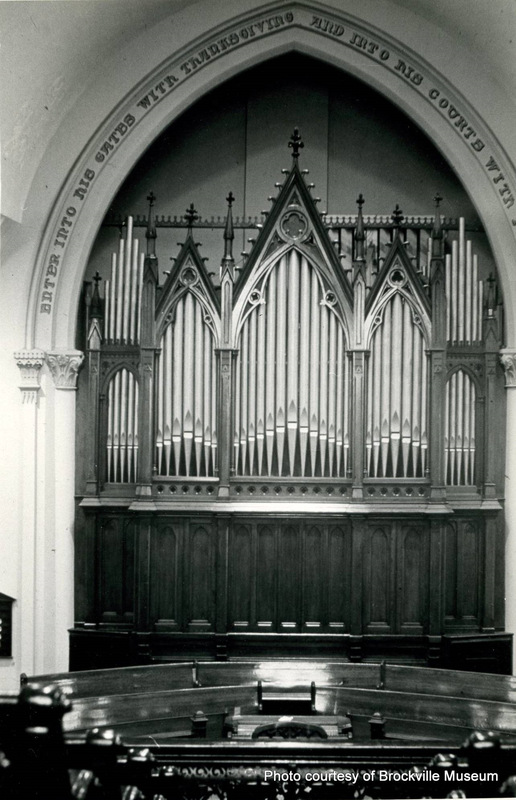 On Saturday, February 14, 1830, the Wall Street Methodist Church was dedicated. The home of Paul and Barbara Heck became the birthplace of Methodism in Canada during the late 1700s. They settled in this district in 1785 and were among the first white inhabitants in the area. 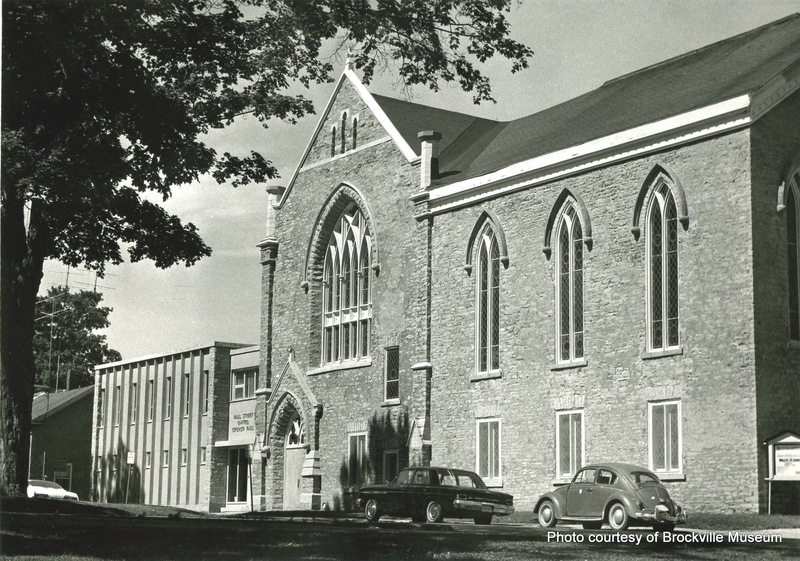 The building of Wall Street Church must have been influenced by their inspiration and therefore its historic significance and impact on the community helps to solidify the evolution of Brockville itself. 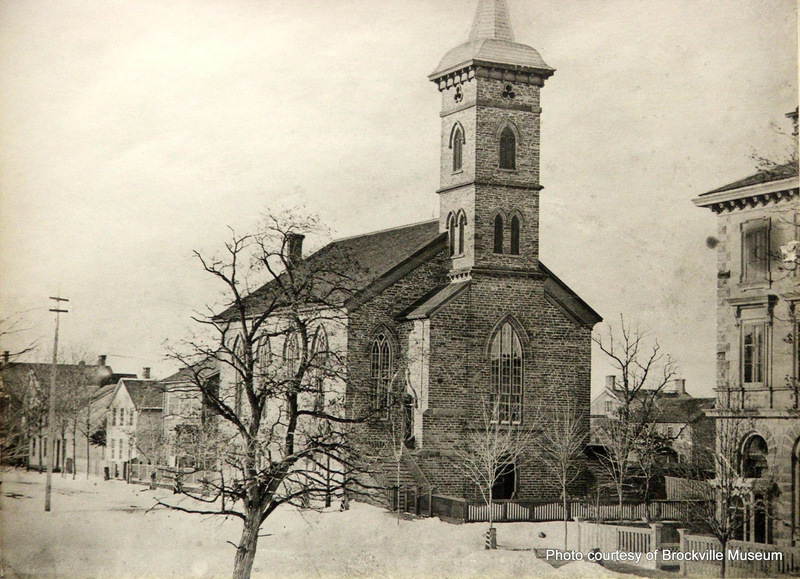 The large and dominant structure standing at the northeast corner of Court House Square is the result of a blending of six major construction stages which have occurred since the original church was erected in 1828-1830. 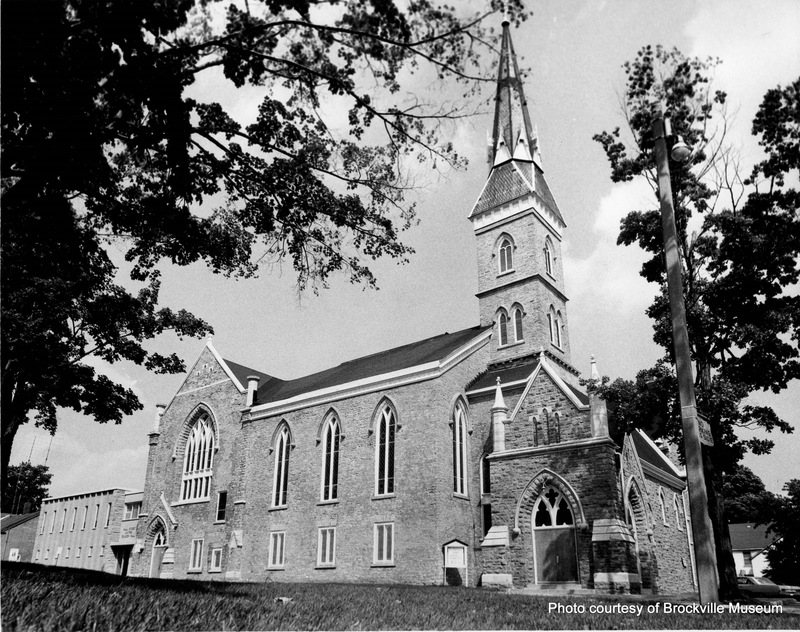 Local quarry stone was used to construct the original church, as well as the subsequent additions, with the exception of the 1960 building on the northern addition known as Fellowship Hall.